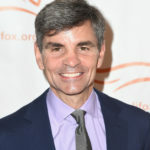 A California luxury real estate investor whose homes have drawn the attention of Hollywood celebrities was arrested along with two of his associates on charges of running a $1.3 billion-Ponzi scheme that swindled millions of dollars from thousands of investors, including ABC News anchor George Stephanopoulos. In 2016, the Securities and Exchange Commission (SEC) began investigating Robert Shapiro’s company, the Woodbridge Group, for fraud that involved promising investors low risk and high returns from luxury L.A. properties and then putting their money toward their own shell companies instead. According to federal prosecutors, Woodbridge’s representatives told investors they would give homebuyers property-secured loans while using the money to finance their own projects and paying the old investors out of money generated from new investors. 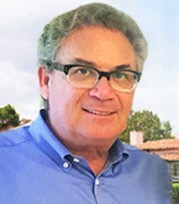 In reality, the Woodbridge Group, which Shapiro, 61, founded in Boca Raton, Florida, would persuade them to finance luxury properties in California and Florida through unsecured loans. The alleged scheme, which ultimately collapsed and forced the Woodbridge Group to file for bankruptcy in 2017, cost investors more than $1 billion. While Stephanopolous was one of the highest-profile investors to put money into Woodbridge, at least 2,600 others are elderly and had put retirement savings into properties in the hopes of seeing the kind of high returns promised by Shapiro and his associates. While the SEC settled its enforcement action by ordering Shapiro and the Woodbridge group to pay a total of $1 billion, Shapiro and his associates now face criminal charges. On Thursday, Shapiro, 61, Dane R. Roseman, 35, of Encino and Ivan Acevedo, 42, were arrested on charges of committing wire and mail fraud as well as money laundering. All three pleaded not guilty in federal court. According to the Los Angeles Times, Shapiro remains in custody while Roseman and Acevedo were released on bond. Shapiro’s attorney, Ryan O’Quinn, told the paper that his client “denies the allegations in the indictment and will vigorously defend himself in the appropriate forum.” Quinn did not immediately respond to an inquiry from Inman about the accusations. The charges further allege that Shapiro took $35 million of the funds for his own use and spent $3.1 million on chartered planes and travel, $6.7 million on a luxury home, $1.4 million on payments to his ex-wife, and more than $672,000 on high-end cars. Woodridge’s Robert Shapiro is not the same person as Robert L. Shapiro, the celebrity lawyer most known for successfully defending O.J. Simpson in the 1990s. The properties that Woodbridge showed to investors included mostly expensive celebrity homes. The Holmby Hills’ Owlwood Estate, which was at different times owned by actor Tony Curtis as well Sonny and Cher, is now listed on the market for $115 million.